Transparent and Level: Modernizing Political Financing in Canada follows a roundtable discussion on political financing on October 11, 2017 hosted by the Public Policy Forum (PPF), in partnership with Elections Canada. The discussions focused on three themes: public and private financing, transparency and campaign spending. The opening session revealed a basic comfort level among participants with the state’s role in regulating the flow of money in politics, both to ensure transparency and to level the playing field among competing political entities. Further to this, it was agreed that the state has a responsibility to finance political competition, through election reimbursements and tax credits, to ensure a healthy democracy and the robust exchange of ideas. However, too much reliance on state funding can be counterproductive as political entities risk becoming distant from and unresponsive to voters. On the other hand, too much reliance on private donors may leave political entities too responsive to their contributors, especially the wealthiest ones. While there is no perfect formula, a balance of public and private sources of funding is ideal. In Canada, the status quo is relatively balanced: parties and candidates receive the bulk of their money through private contributions from individuals, while the government reimburses election expenses during election years and gives tax credits to individual donors. Donations from corporations and trade unions were banned in 2007 and are unlikely to return. On the topic of transparency, participants expressed the need for more light to be shone on the activities of third parties: individuals and groups that aim to influence voting while not being registered candidates or parties. 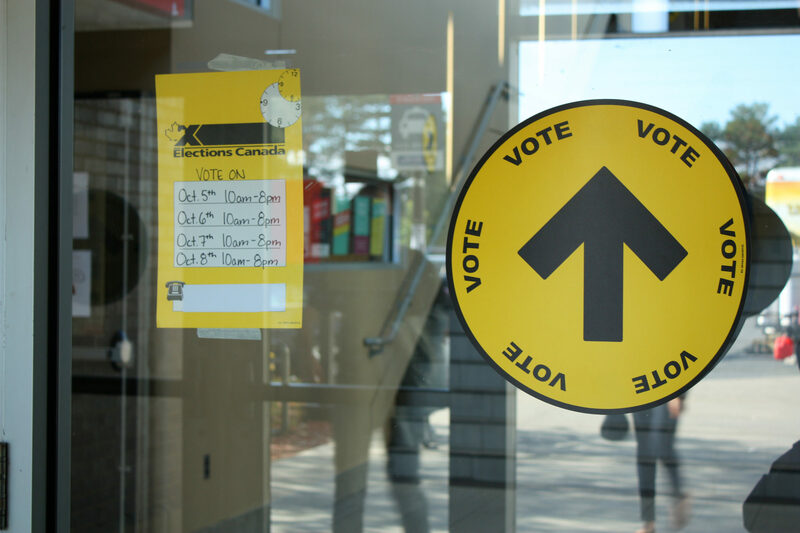 Third-party participation in elections is a Charter-protected right, but Canadians need to be confident third-party activities are legitimate and transparent and do not undermine a relatively level playing field for all political entities. The fact that third-parties’ activities extend beyond elections makes it challenging to distinguish and track their spending and engagement in campaigns, as well as the contributions they receive from donors or by using their own funds. Moreover, there is a growing concern about potential involvement of foreign actors in Canadian democracy and elections, both in terms of untracked donations and other forms of interference in election outcomes. Drawing distinctions can sometimes prove difficult given the open nature of Canadian society and the international nature of corporations, trade unions and NGOs. Disclosure and transparency for all political entities could be improved in a number of ways, such as increased awareness around non-monetary contributions and more clearly tracking the contributions and spending of third parties. Election campaigns have been transformed in unforeseen ways by the introduction of fixed election dates. Electoral rules must catch up. This is especially true as fixed dates become normalized in both federal and provincial jurisdictions. In the past, both majority and minority government prime ministers and premiers have been guilty of requesting dissolutions at politically opportune times, but now everyone knows the ‘schedule’ of elections and can ‘game’ the new system. With fixed dates, campaign activity starts in earnest well in advance of the dropping of the writ because political players can anticipate the timing of the election. Further, because spending limits apply only during the writ period, there is an incentive for political entities to ramp up spending in advance of the writ drop. For these reasons, the Ontario government is now regulating spending for the six-month period prior to an election. The new law is being challenged in court by the Working Families union coalition on the grounds that the restrictions on third-party spending before and during the writ period constitute an unfair violation of groups’ freedom of expression as protected in section 2(b) of the Canadian Charter of Rights and Freedoms. Ontario Attorney General Yasir Naqvi has stated his belief that the legislation is Charter-compliant. The world of political finance has changed significantly since the key parameters of the current regime were first introduced in 1974. Political communication no longer necessarily targets a national audience or geographic subsets; micro-targeted messages via digital channels are being normalized as a cost-effective mechanism to reach highly specific groups based on their online behaviours and preferences. The proliferation of many targeted messages over hundreds of channels aimed at as few as several dozen people make it more difficult to verify the content of messages. Digital mediums are particularly conducive to the rapid circulation of content and, due to the diminution of gatekeepers, the dissemination of fake news. The political finance regime must be equipped to regulate beyond money and to ensure the integrity of Canada’s democracy by holding political entities to account for digital content and micro-targeted messages while taking care not to intrude on free speech rights. Allow only eligible voters (i.e. Canadians) to make political contributions. Level the playing field for donations to registered third parties to correspond with those for political parties. Extend campaign-spending limits to kick in six months prior to the fixed election date. Increase transparency around third parties. Maintain the current balance between public and private contributions. Lower the threshold for public reimbursement. Regulate in-kind contributions enforced through administrative penalties. Increase transparency around social media and micro-targeting.